Give a safari to someone you love! Now you can buy gift vouchers for our safaris! Experience the courtship display of Black Grouse from a comfortable hide at very close distance. Spring is a good time for bird photography. Spend a week with focus on leking grouse, Owls, Divers and in addition some Woodpeckers and nice garden passerines. Quality birding with Owls, Woodpeckers and Grouse in Taiga forest and wetlands around Svartådalen – The Black River Valley of Västmanland. 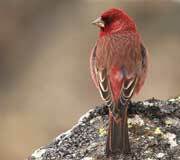 Owls and Woodpeckers are joined by eastern Passerines, Raptors and Waders. Breath-taking sceneries and charismatic birds like Gyr Falcon, Long-tailed Skua and Great Snipe. 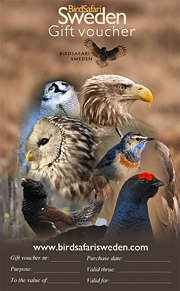 The best of Taiga birds of Västmanland combined with Mountain birds of southern Lapland. Central Sweden offers a variety of Scandinavian Butterfly species, many of which can only be seen here in Europe. Marsh– and Scarce Fritillary, Clouded Apollo and Scarce Heath can be seen this time of the year. Photograph Ospreys as we feed them fish from a small boat. 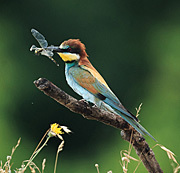 Birds and Dragonflies in and around the Black River Valley. Large numbers of Cranes and Bean Geese, rare Lesser White-fronted Geese and passerines like Bluethroats, Bearded Reedlings and a good number of raptors during a long weekend in central Sweden´s lovely countryside & forests. Wintertime is a good time for Bird Photography up north. Spend a week with hide & outdoor winter photography of Eagles, Goshawk, Nutcracker, Siberian Jay and more. From our warm and comfortable hide you get the possibility to see and photograph Golden Eagle and White-tailed Eagle from very close range... take the chance! Get close photo opportunities on the shy Rough-legged Buzzard from our new, warm and comfortable haybarn-hide! Get close photo opportunities on the shy Northern Goshawk from our new, warm and comfortable hide! On this trip an extra destination with Siberian Jays at a winter feeding station further north is added. Enjoy the northern winter atmosphere with crispy, cold air, snow-covered landscapes and birds like Hawk- and Pygmy Owl. Unique birds in a fascinating country with amazing scenery. 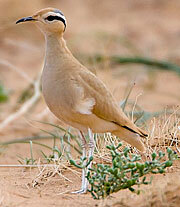 Rollers, Red-legged Falcons, Bee-eaters, Hoopoes and many other birds from very close range. The best raptor migration in the western Palearctic. Stunning Arctic Ducks, forest passerines, Husky sledding and the chance of Northern lights. including the scarce False Comma. Many photographers visit us. See more of their excellent work on their own websites! Great Grey Owl filmed in the Black River Valley, May/June 2010. Film by Aros Film, Gunnar Fernqvist. Grey-headed Woodpecker in Svartådalen. Film by Lars Karlsson.